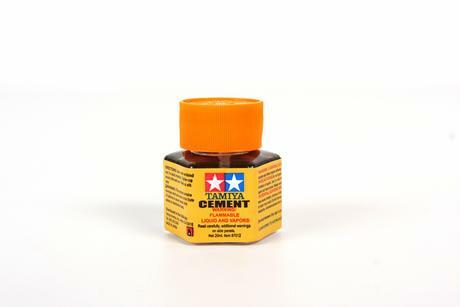 Tamiya Extra Thin Cement is a widely popular glue among modelers around the world. You will find it in most modeler’s workshops. 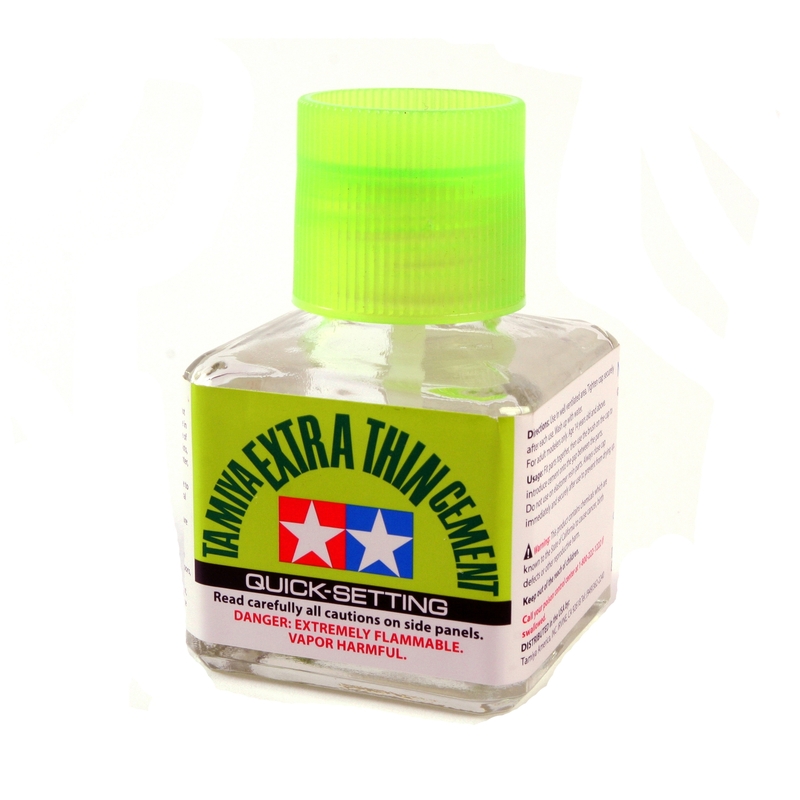 This version is the “quick setting” variant that dries around 4 times faster than the original Tamiya Extra Thin Cement, saving you time (and energy) holding parts in place! It also has less-tendency to seep out from part joints. 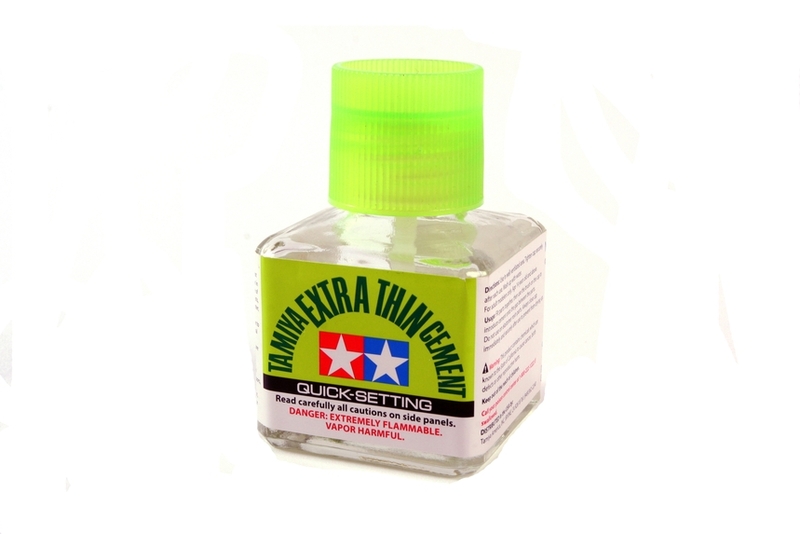 Like the consistently of the original Extra Thin Cement product, the Quick Setting version is highly liquid and able to flow into small cracks, making it useful for attaching parts in very tight spaces. It can also be used to attach parts which have been pre-fitted by hand. It is best to use the Quick Setting Extra Thin Cement when you are looking to glue parts together very quickly, in order to move onto the next step of the building process faster. It is also recommended that you are sure of your parts attachment and fit when using this faster setting glue. The Quick Setting Cement typically dries in under 10 seconds, whereas the standard Extra Thin Cement dries within 40 seconds of application. •	Contents: 40ml. 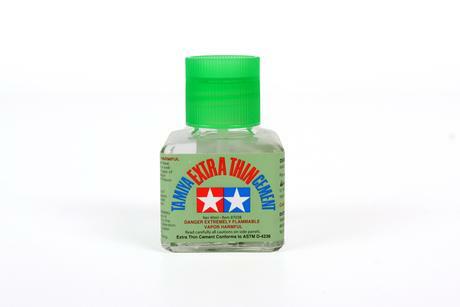 Bottle features a handy brush on the underside of the cap for easy application. •	Note: Not for use with elastomer (used on tank track parts, etc.) as it can cause brittleness. •	Original Tamiya Extra Thin Cement (Item 87038) is still recommended for use in situations where you wish to fill larger gaps and seams.